Men who cope better with childhood stress are more likely to avoid heart disease, new Swedish research suggests. The Orebro University-led study monitored data from over 230,000 Swedes born from 1952 to 1956. The team found that those who dealt badly with stress had higher heart disease risks from 1987 to 2010. This was after taking into account other proven heart disease probability factors, such as little physical exercise. 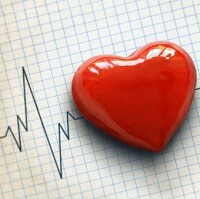 The scientists surveyed 10,581 heart disease diagnoses from the 237,980-strong sample. Whether or not holidaymakers have poor stress resilience, they can still enjoy a break with peace of mind if they suffer from heart-related ailments. They can get travel insurance specialising in people with heart conditions. This can be really useful should the unexpected happen abroad. Scientists chose the demographic because Sweden still had mandatory military conscription from 1952-56. The men's detailed medical records were available from the time. But this data did not include smoking habits. The researchers found that combating stress and extolling the virtues of physical exercise are both required to lower incidences of heart disease. But they added that dealing with stress badly cannot be compensated for by lots of physical exercise. Scientists compiling the study recommended that public health bodies should perhaps consider looking at jointly targeting stress and a lack of physical fitness as a means of beating heart disease. They found that the safeguarding impact of adolescent fitness is either lowered or removed altogether in people who have a low resistance to stress. There is a link between adolescent low-stress resilience and a heightened danger of heart disease during middle age, they concluded. Scientists believe that the findings may not have been the same, had women been included in the report. The Heart online journal has published the results.